EA – 2017 Class – UNITY, Inc. This week’s Earth Ambassador spotlight features Attaquin Weeden, a proud member of the Narragansett tribe of Rhode Island and the Mashpee Wampanoag tribe of Massachusetts. UNITY has announced the recipients of the 2017 UNITY Earth Ambassadors Leadership Program. 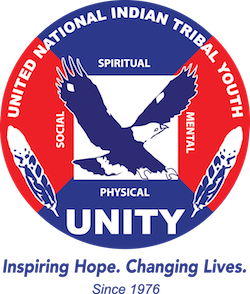 The new class is the second group to be honored through this Environmental Stewardship program, which was reinstated in 2015 thanks in part to a matching grant awarded to UNITY by the Shakopee Mdewakanton Sioux Community (SMSC). Applications Now Being Accepted for the UNITY Earth Ambassadors Program. Apply online HERE.